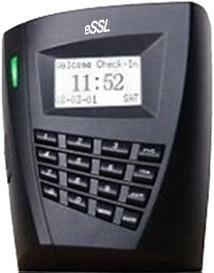 SC503 is a RFID Time and Attendance Systems, IN and OUT status, also low price with good performance, designed especially in the purpose of popularizing the fingerprint products. It could store 30000 cards and 50000 transaction records. It will bring you much profits because of its low price. Easy installation, safe and reliable. Simple and convenient operation method. ID card standard, Mifare card optional. Full door lock control system. Wiegand out to connect with control panel. Wiegand in to construct master and slave system. Audio prompt and LED feedback guide the user to operate.